Kimberly B. Malerba | Ruskin Moscou Faltischek, P.C. Kimberly B. Malerba handles virtually all matters involving the employer-employee relationship. Her areas of concentration include wage and hour compliance and investigations, employment discrimination and workplace harassment prevention, policy development and litigation, and independent contractor analysis. She has defended against claims such as sexual harassment, age, race, national origin and disability discrimination for various clients, both large and small. She also focuses her practice on social and digital media-related employment issues. In her counseling practice, she regularly advises employers on best practices concerning management of disability accommodation and leave-related issues, reductions in force, restrictive covenants, hiring and separations from employment, and performance management. A partner at Ruskin Moscou Faltischek, P.C., she chairs the Employment Law and Digital Media Practice Groups, and is also a member of the firm’s Litigation Department. As a featured lecturer, Kimberly has participated in various continuing education programs offering continuing legal education, continuing professional education and human resources certification credit. These programs educate professional audiences on a wide variety of employment law topics, ranging from wage and hour compliance, reductions in force, and issues arising under the Family and Medical Leave Act, to NLRA compliance in social media, and many others. Additionally, she has implemented in-house management training for employers on a range of employment law related topics, including workplace harassment prevention, FMLA and ADA compliance, and wage and hour best practices. Kimberly also has considerable experience in the intellectual property field and represents and advises clients in connection with trademark, copyright, licensing, privacy, Internet, domain name, unfair competition and trade secrecy issues. She advises clients regarding worldwide intellectual property matters and has experience in connection with drafting agreements for intellectual property rights in various contexts. 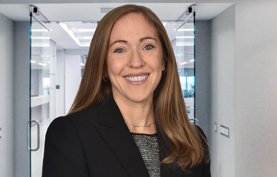 She has litigated intellectual property and complex commercial matters on behalf of national and regional clients in federal and state courts. She is a member of the American Bar Association, New York State Bar Association and the Nassau County Bar Association. Kimberly was recently honored by the Long Island Business News as one of the 40 Under 40 Long Islanders for her business achievement and community service. While in law school, she served as an articles editor for the Cardozo Arts and Entertainment Law Journal. Employer Regulation of Blogging, New York Law Journal, October 31, 2005. Expert Disclosure in New York’s Federal and State Courts, New York Law Journal, April 8, 2004. Federal Rule 68: A Rarely Used Defensive Tool, New York Law Journal, February 9, 2004. Getting Smart on SMARTPHONES, Long Island Business News, July 5–11, 2013. Small Business: Valuable Exit Interviews, Newsday, May 26, 2013. Yahoo! Hotjobs, 5 Lifestyle Activities That Can Get You Fired, June 19, 2008.